A chemical compound, silver oxide (Ag2O) is a fine, dry powder with a characteristic brownish-black color and is used in the preparation of other silver compounds. It is a three-dimensional polymer and is not readily soluble in most solvents. Although, Ag2O hydrolyses only slightly in water, it imparts the water a distinctive metallic taste. However, silver oxide is soluble in dilute nitric acid and is easily attacked by acids. Like other silver compounds, silver oxide is not light sensitive and decomposes at temperatures above 280 degree C.
Silver oxide is used as a reagent in a number of laboratory reactions to form various compounds. It dissolves in ammonium hydroxide solutions to give soluble derivatives. Also, silver oxide reacts with alkali chloride solutions to yield alkali hydroxide. Ag2O is often employed in the synthesis of transition metal-carbene complexes (silver oxide readily reacts with ligand precursors to form the corresponding complexes). Silver oxide is very effective in removing (or scrubbing) carbon dioxide from humidified air (humidity greater than 25%). This property is extensively used in space missions (by nuclear submarines, international space station and space shuttle). Silver oxide reacts with carbon dioxide in the presence of water to generate silver carbonate. Further, it is capable of regenerating all the sorbed CO2 by prolonged heating which enables each canister to be recycled about 60 times. Silver oxide is also used in the manufacture of filters for gas sensors. This filter helps in increasing the efficiency of chlorine dioxide detectors to free the gas stream from hydrogen sulfides without producing any unwanted compounds. Silver oxide acts as a catalyst in the preparation of silver powder. If heated above 280 degree C, silver oxide gets converted into silver powder, thereby releasing oxygen. 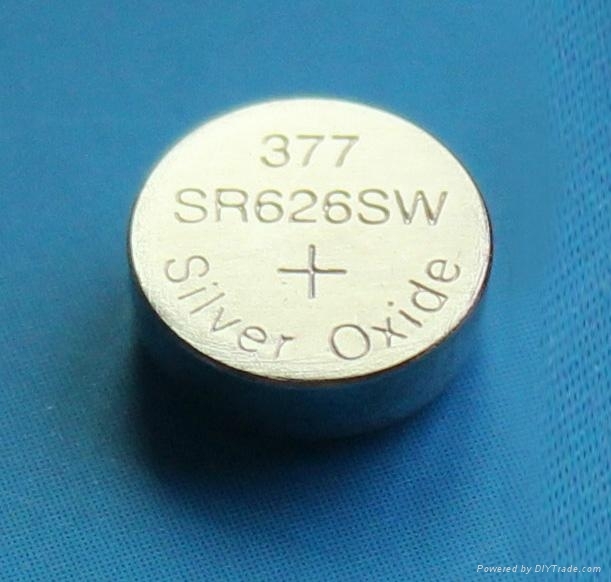 Silver oxide and zinc form the main constituents of a silver oxide battery (or silver –zinc battery). While silver oxide acts as the positive electrode (cathode), zinc behaves as the negative electrode (anode). Unlike its competitor counterparts, a silver oxide battery has higher durability, can handle higher current loads, inflammable and is free from thermal runaways. Such batteries are used in electronic devices and US military and Apollo space program. Silver oxide has enhanced antimicrobial properties and is often used in the manufacture of some infection-resistant surgical fabric materials as well as fibrous textile articles. It is also used for concrete and in some swimming pools and spas to protect the water from undesired microbes.